Winter Haven gets its name for a reason. We swap out snow for sun; we replace chilly temperatures with warm days all year long. Even if Winter Haven feels just a little bit like heaven, its properties need a little help behind the scenes to prepare for the winter season. And that’s where you can turn to the experts at Lightning Pressure Washing. 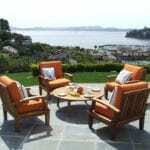 Managing your property is a responsibility in of itself. And it’s our job to make that task just a little bit easier. This takes the cake in your autumn maintenance checklist. 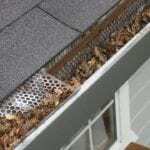 Over the course of the year, your gutters become bogged down by leaves and other debris. And when we get those rare rainy days, our gutters are too clogged to do their job. With regular cleaning, you can prevent this scenario from becoming a reality. A season of heavy use can take its toll on your property. Our team delivers a complete pressure washing solution to ensure that your pool deck is at its best to close out the year – and ready to start out the new season on the right foot. It’s important to read the needs of your property. While one Winter Haven client might need a house washing service, another might be desperately in the market for a roof cleaning solution. No matter what your exterior needs, our team is here to bring it to its very best.